Last summer at a shop I had the pleasure of dicking around on a vintage MusicMan Stingray II. They were made by Leo Fender himself and they are now somewhat rare. 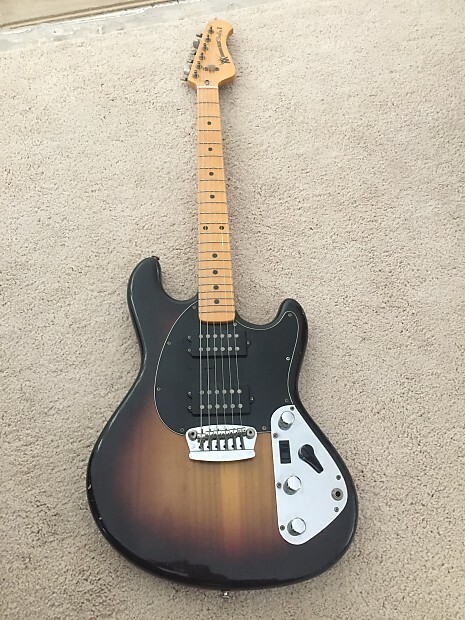 MusicMan guitars with this same build quality were only a thing from 76-78. After that, Leo went on to found G&L and Ernie Ball bought MusicMan and they started cranking out boring and mediocre metal shred style guitars. The Stingray Bass was and is very popular, and they still make a Stingray guitar that looks just like this, but I've played one of those, too and it's not the same. The pre-Ernie Balls are just "better" and if I didn't have too many solidybody boltnecks already I would have bought it.